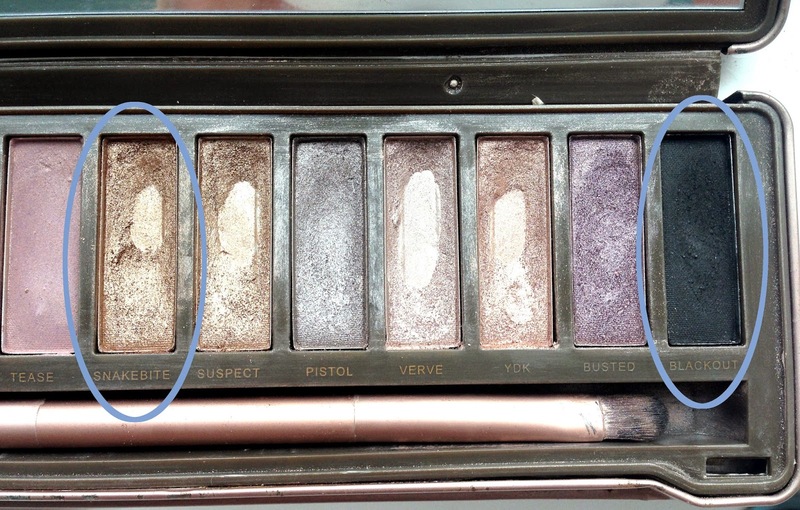 I can't be the only one who manages to end up with a mess of eye shadow, smeared way higher than the 'acceptable' height of smokiness. When I say "the acceptable height", I mean not looking like a queen of all the goths wannabe, or like I belong in fishnets and thigh high stiletto boots, on the corner of an extremely questionable street. You catch my drift? Let's all have a look at the barely touched black shade in my Naked 2 palette, which definitely represents my chronic fear of black eye shadow. Kind of ironic seeing as my forte is thick black eyeliner. Sorry Blackout, nothing personal. 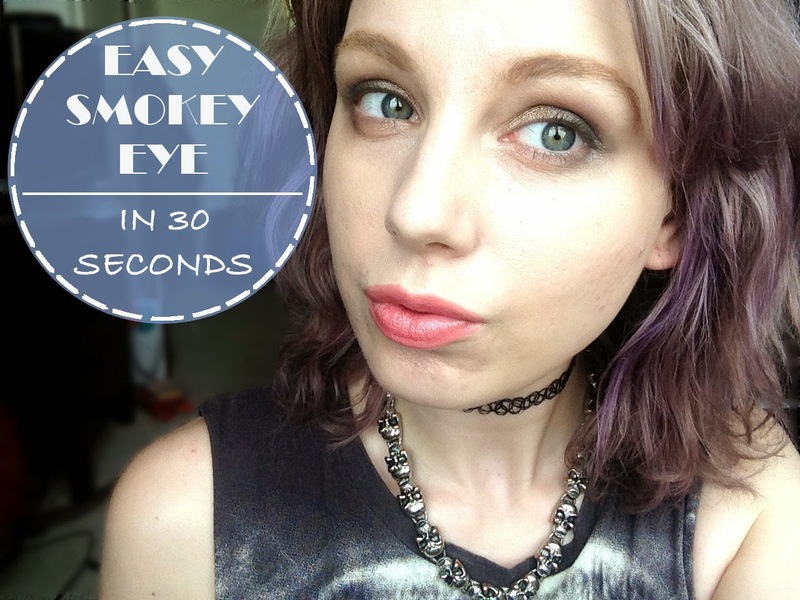 Lucky for me (and all of you, who struggle with a smokey eye), I've discover a life-changing (yes, I said life-changing, that is how good it is!) 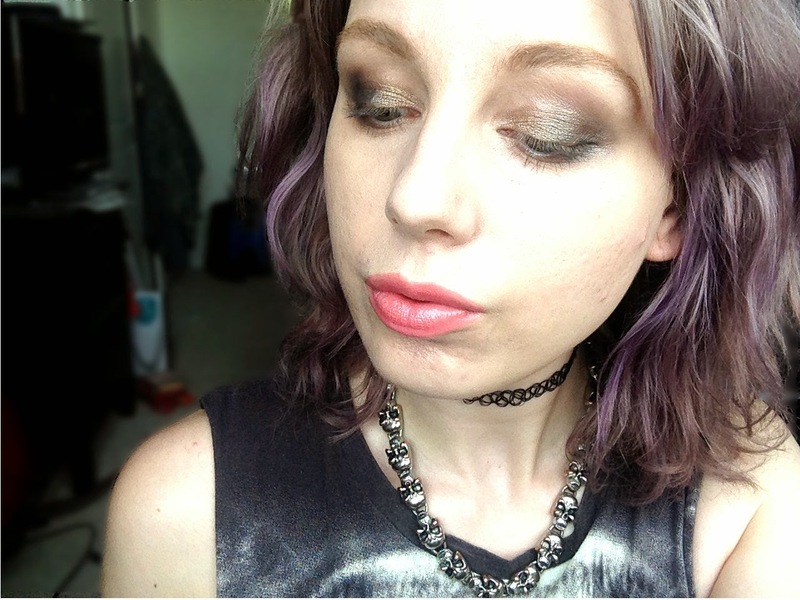 technique, so even those of us who fail miserably at making our eyes look all mysterious and whatnot, now have an open door into the world of the smokey eye. Start off by giving your eyelid a coat of your base shade. I went with Snakebite which, when blended with Blackout, creates a beautiful silver toned shade. Here's the fun (and slightly fiddly) part; using an angled eye shadow brush, draw a hash tag symbol (using a darker shade, it doesn't have to be black) onto the outer edge of your eyelid. Make it as messy as you want, as you're going to be using your fluffiest brush to blend the hash tag in a circular motion, into the base shade. It will naturally create the smokey shape - I don't know how, it's magic! 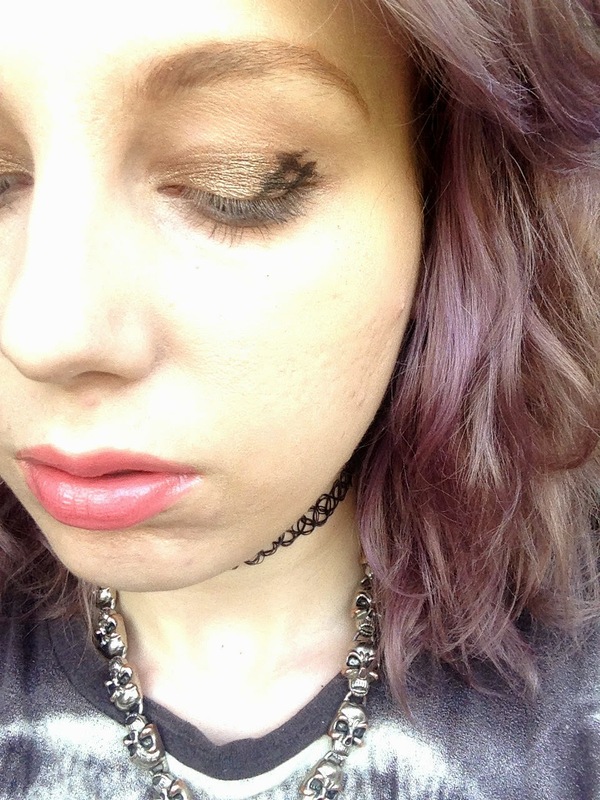 To finish off the smokey look, I brought the black down underneath my bottom lid, just in the outer corner. 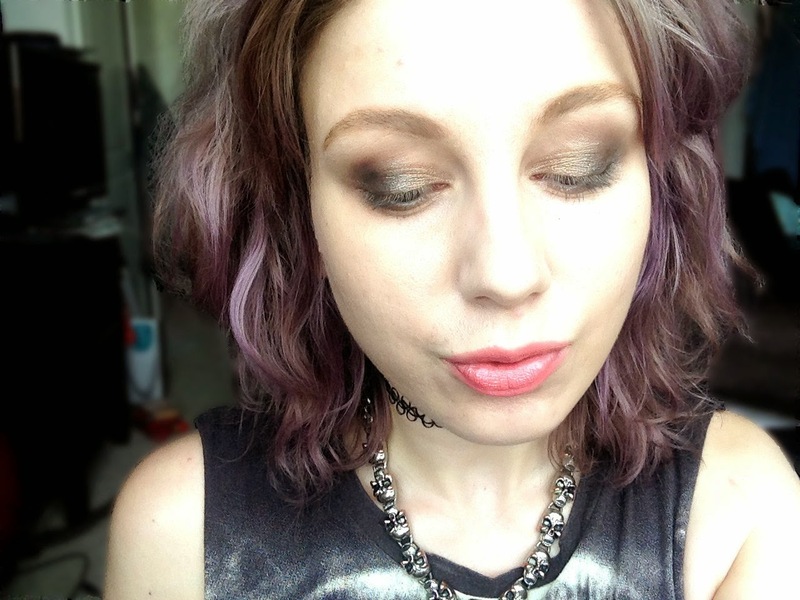 Gorgeous makeup and using a hash tag to create the smokey eye shape is pure genius! I love your beauty tips so much! I just need to invest in some good brushes then nothing is gonna stop me from mastering the smokey eye haha. Your Naked 2 looks well loved! :) Beautiful look! This is a great method! I can still remember when I did my first smokey eye. I followed some instructions at the back of a palette, which meant I had to turn it around every couple of seconds to make sure I didn't mess it up. The outcome was a little uneven. One would think that after years of wearing make-up I could do a smokey eye. Well, I'm not the best. Such a gorgeous palette, i love the shades! Great Tutorial! I love how simple it is, im not very makeup savy myself. lol. simple eyeliner 4 ever.